A busy weekend of races in Ottawa! Color Vibe & Army run. What I love the most about running races is that you feel alive! All that hard work of training activates your adrenalin to the max. Your heart pumps determination through each step of your shoe hitting the pavement to move forward & succeed. Combine this energy – boundaries are crossed and we lose the shyness and judgements. On the course we support each other, high five strangers to keep on going – a level playing field with the same purpose to complete the challenge- the power of all those hundreds of strangers on the sidelines believing, encouraging, screaming your name that you can do it! Energy that hits your happy place instantaneously and drives you to accomplish and achieve that goal of completing your first race or realize that Personal Best. During our hectic hustle of getting to work/school/ errands/ living life is a daily race. Let’s challenge ourselves to emulate the ambiance of running a race to our daily lives and remember to breath along the way and have fun! 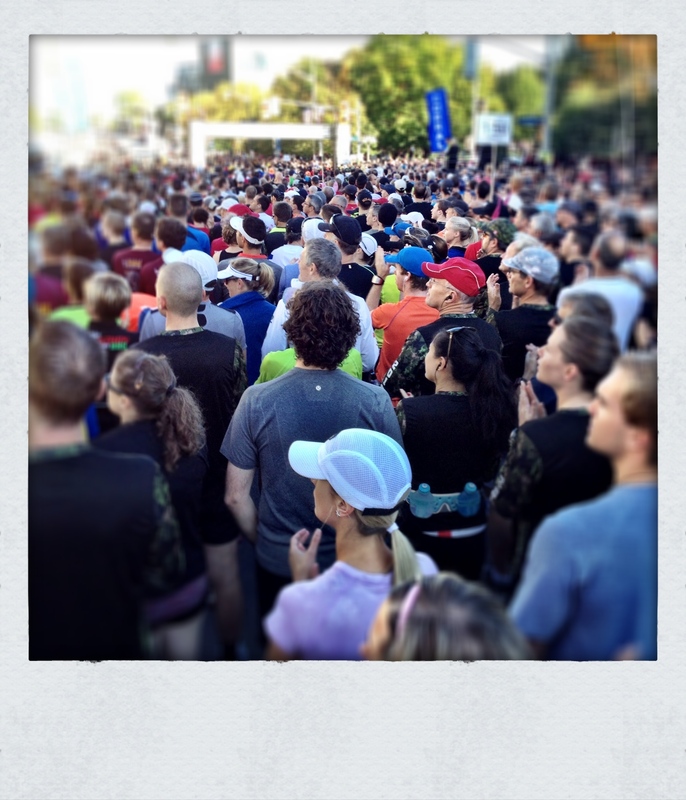 This entry was posted in Create Inspire Achieve and tagged army run, energy, personal best, races, running. Bookmark the permalink.